The lower back is the most stubborn fat areas, even long term fitness enthusiasts find it extremely extremely difficult to get rid of lower back fat, even tho if their body is relatively lean. However it is possible to get rid of it. The key to eliminate lower back fat is exercising and having a good, calorie-controlled diet. When your lower back accumulates excess fat, it results into love handles, or a bra strap bulge . Because you cannot reduce fat in a specific area, the only way to get rid of your lower back fat is to lose overall fat throughout your whole body. However you can target a specific area with exercises to tighten the muscles and get a smoother appearance. Reduce your intake of foods high in saturated fat. Try to get rid of sugar and sodium, use honey to sweeten your drinks. Snack on fruits, vegetables and cottage cheese. Try to cook fresh food at home and avoid processed foods, or prepackaged meals. Limit portion size,( for example if your typical lunch is 3 steamed potatoes, bowl of salad, and a steak … take only 2 steamed potatoes, smaller bowl of salad and smaller steak). Don't neglect your Cardio. 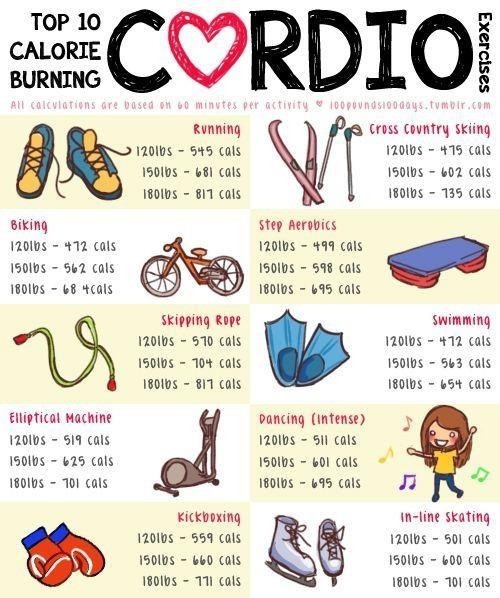 Choose your favorite thing to do that will make your heart rate go above 70% of your heart rate at rest, and keep doing it for a period of 20 minutes at least 4 times a week, if walking can make you sweat and gives you the sensation of calories burning, that's great, the main idea is to move your body and burn fat. After a while your fitness level will go up and you will be able to handle high-intensity aerobic exercises. They burn more calories in a shorter period of time comparing with slower-paced exercises. Also it is scientifically proven that high-intensity workouts increase your metabolism and keep you burning fat long after the workout is finished. You fixed your diet and you do your cardio, now you need to do area specific exercises. Working out your lower back muscles will burn calories of course but it is not much comparing with the cardio training. The purpose of tightening your lower back muscles is to make them look smoother. Also toning up your lower back will shape up the muscles to their natural state and make that area look much prettier. Note: It is preferably to do this workout after your cardio training. Form: Kneel on all fours, with your knees under hips and hands under shoulders. Don't over-arch your lower back. Keep your neck long, your shoulders back and don't lock your elbows. Movement: Slowly take your bottom backwards, maintaining the natural curve in the spine. Hold the stretch for one deep breath and return to the starting position. 2 Sets: Repeat 8 to 10 times. Form: Lie on your back. Place a small flat cushion or book under your head. Keep your knees bent and together. Keep your upper body relaxed and your chin gently tucked in. 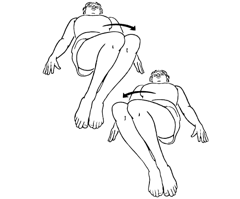 Movement: Roll your knees to one side, followed by your pelvis, keeping both shoulders on the floor. Hold the stretch for one deep breath and return to the starting position. 4 Sets: Repeat 8 to 10 times, alternating sides. Form: Lie on your stomach ( prop yourself on your elbows, lengthening your spine to make it easier ). Keep your shoulders back and neck long. Movement: Keeping your neck long, arch your back up ( push down on your hands if are using the elbow version ). You should feel a gentle stretch in the stomach muscles as you arch backwards. Breathe and hold for 5 to 10 seconds. Return to the starting position. 3 Sets: Repeat 8 to 10 times.